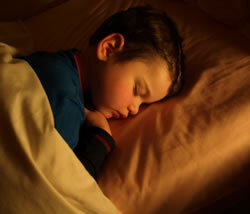 Need help to stop bedwetting? It limits your child's experiences, lowers self esteem, causes a lot of work, distress and expense and it does not respond to traditional methods. It is most often neuro-developmental. If your child was born by Caesarian section, or the birth was fast or assisted, the chances are that reflexes left over from babyhood are still working. They prevent conscious control. We can help. Your child is troubled by wetting the bed, even if the child is younger than 6 years. The age of 6 years is a good guideline. If bedwetting is causing distress, it’s time to benefit from our natural, non-invasive, non-drug method. If your child also has daytime urine control problems, and you have been trying to help them establish a reliable routine for some time, you may wish to begin earlier than 6 years old. Many children who have never been dry at night have difficulties that are developmental. Our experience shows that children who were born by Caesarian section or whose delivery was breech, fast or assisted (ventouse or forceps) may be more prone to this problem. If your child is on medication, we recommend you contact us. Your doctor is your primary carer. Soiling may also be a problem. If the bedwetting relates to the persistence of infant reflexes that influence urine and bowel control your child does not have conscious awareness and control. They are at the mercy of a reflex action.